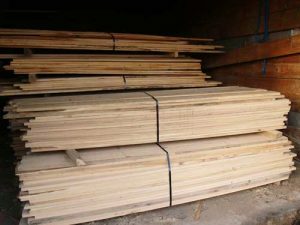 We specialize in White Oak, Red Oak, Aspen, Cherry, Black Ash, etc…. 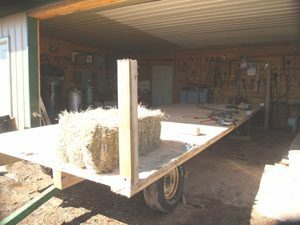 We sell a lot of white oak for trailer decking, horse stalls and horse fencing. 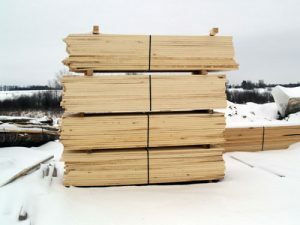 We have furniture grade lumber for flooring, paneling and cabinets. 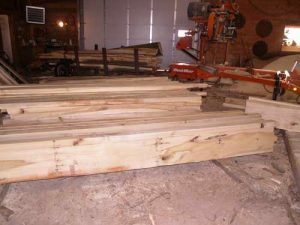 Our lumber is great for industrial uses, industrial pallets and pallet parts. 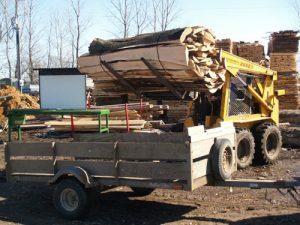 We sell firewood by the cord and also hardwood and softwood slab wood off of our saw.